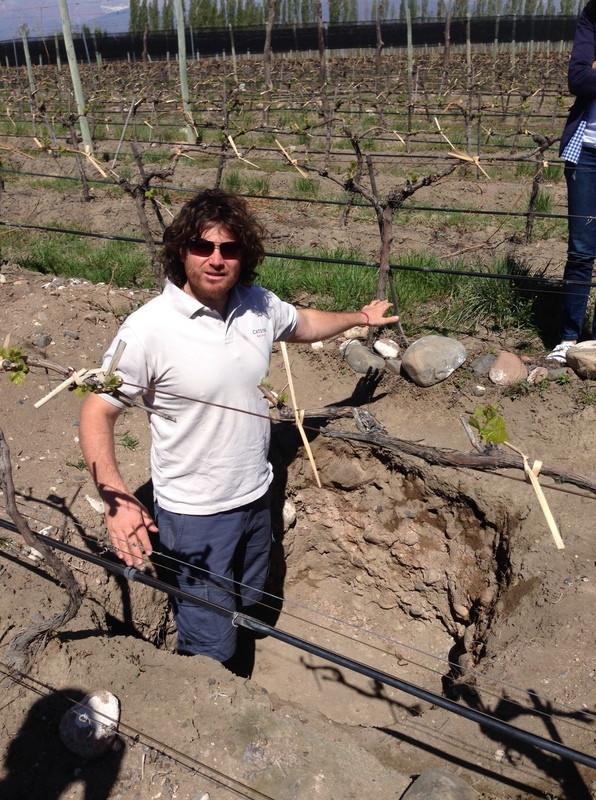 Touring Catena’s Adrianna Vineyard was awesome. 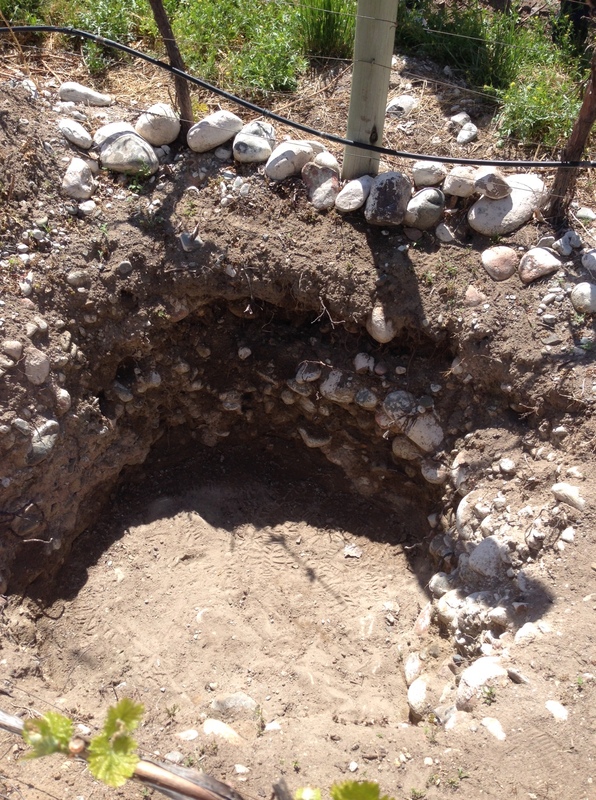 They showed us the different soils that make two of their Chardonnay’s. One is called White Stones because there are tons of white stones in it (easy enough…); the other is called white bones because sea animals used to live in it and their shells (“bones”) now feed the soil with their calcium. As for the wines (obv, the best part! ): White Stones was stony, yellow apple, lemon and chalk ($90) – really, really amazing silk to it too. White Bones was much lusher and fleshy, with yellow florals and riper yellow apple but still light ($120). They’re not cheap, but SO worth it. 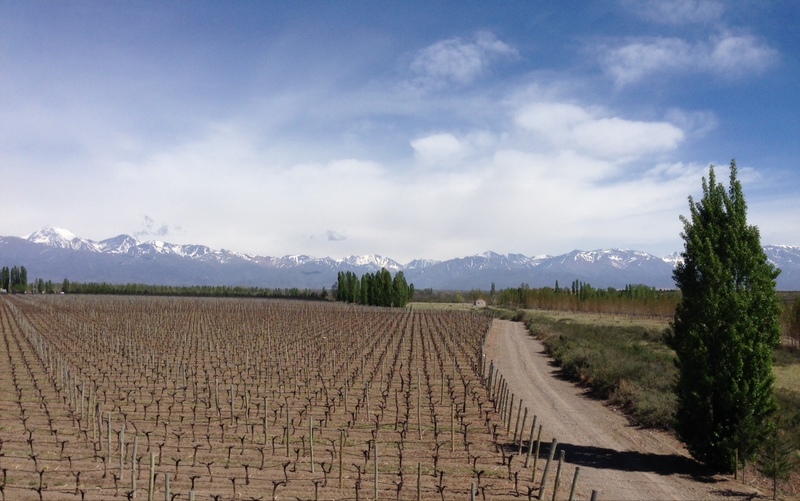 We tasted them with an amazing view of the vineyards and the Andes and a whole tray of delicious empanadas (a going theme on this trip). 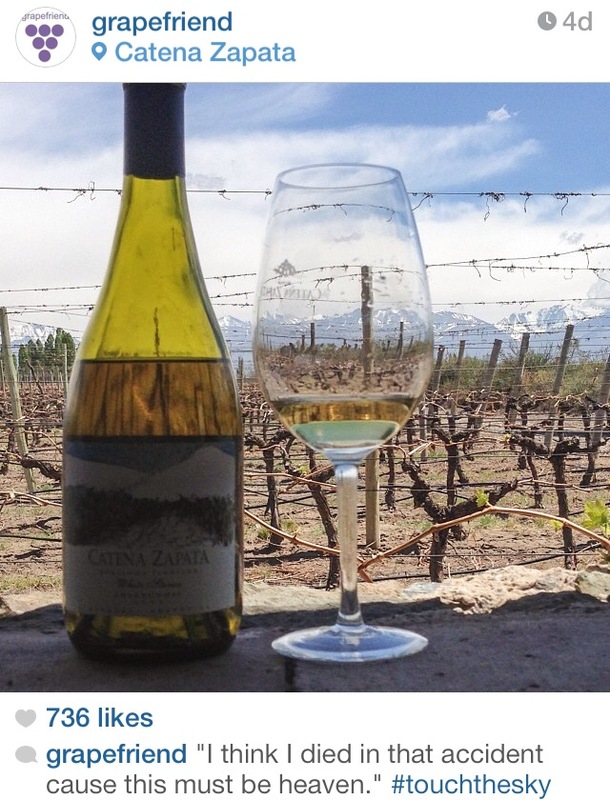 We were all blown away by these two Chardonnays (I’m not even sure I’d ever had Chard from Argentina before, and these were incredible), and it led to two very weird coincidences. Because it was so gorgeous and the wine was so amazing, I kept thinking of the lyric from Kanye West’s “Touch the Sky”: “I think I died in that accident cause this must be heaven.” I posted this pic on Instagram with the lyric – even though the accident part (Kanye was in a near-fatal car accident in 2002) didn’t have relevance, the heaven part did. I realized after posting the pic that we were at one of the highest elevation vineyards – 5000 feet up! The Catena’s have now basically devoted all their efforts into figuring out the effect of high altitude on grapes and the wine they make. (Basically, being so high up the grapes are prone to way stronger UV rays, so they develop thick skins to avoid sunburn. And thicker-skinned grapes lead to more color, concentration, and tannins in the wine.) We got a whole presentation about the Catena Institute’s research on it – and I realized that the term “Touch the Sky” was coincidentally very appropriate for their wines since we were so high up. But that wasn’t the only coincidence. There was still that accident part of the lyric that didn’t really have anything to do with the wine. But when we were doing a tasting of a few more Catena wines the next day, Pablo (one of the winemakers) told us that Adrianna and Domingo Catena (second generation of the family) died in a car accident in 1962. It was totally weird. What we still have is these amazing wines that transcend you while you’re drinking them, whether you’re high up or down on the ground, on earth or maybe they’re even knocking it back in heaven. Tags: argentina, catena, chardonnay, kanye west, wine. Bookmark the permalink. 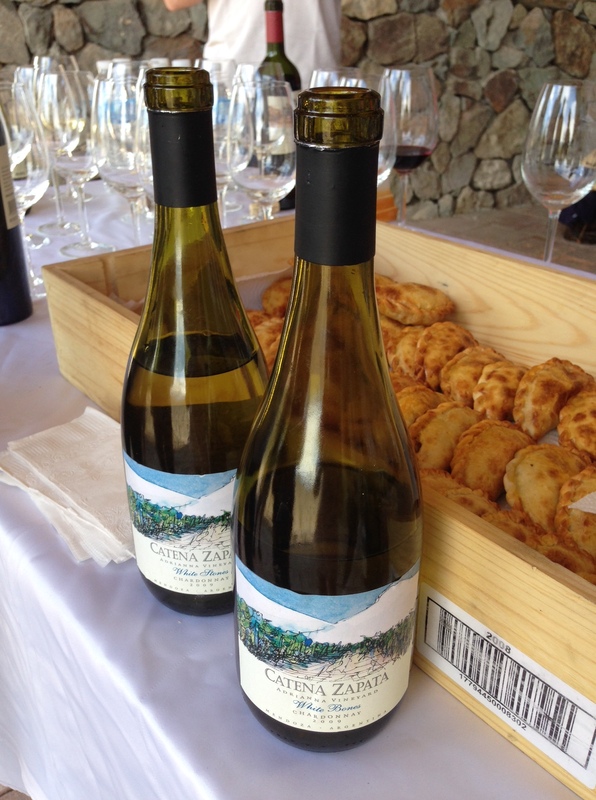 Their Alta chardonnay is the missus’ favourite, your trip looks amazing! Great post! I love everything Catena.